Boxcar type Gs 204 (Gmhs 53) of the Deutsche Bundesbahn. Epoch IV. Model with true to the original livery and lettering. 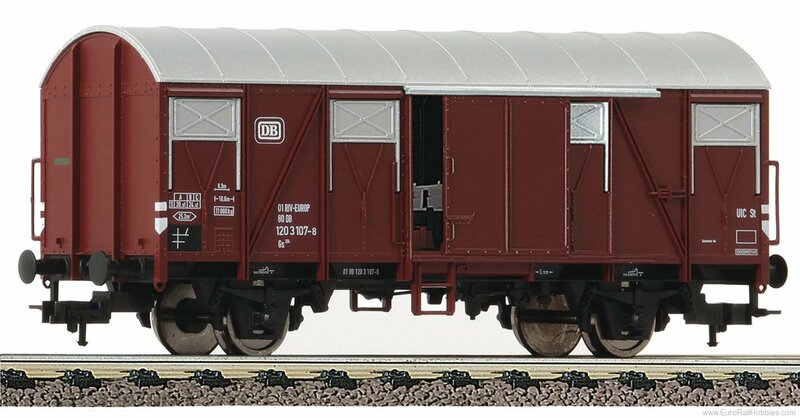 The boxcar has a cargo hold and two laterally moveable loading doors. Coupler pocket according to NEM 362 standards and close coupling mechanism. Matching locomotives: 435203/435273/395273. Type Sgs 693 Flat Car for Containers.